Soteria are the UK’s only company concentrating solely on cyber security for SAP ® products; that’s all we do. Whilst other larger consultancies have added SAP ® cyber security as a.n.other bolt-on service amongst a myriad of others, Soteria minds are one track minds. You may notice this in the terminology and lexicon that we use on both web-site and in documentation. We manage without long and impressive sounding words which mean short words, preferring facts and industry terms over gloss and consultancy jargon. We call a smurf a smurf. Soteria are members of the UK Cyber Security forum. Soteria was founded by time matured independent SAP® product consultants, each with over 15 years implementation experience, much of which has been in the security field. 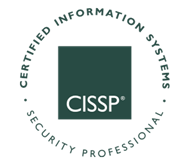 We are CISSP qualified (Certified Information Systems Security Professional), and bring experience across a wide variety of industries. This enables us to identify and build on SAP’s powerful security offering, to design a bespoke security posture for your organisation.